Aloha Medicinals Chief Scientific Officer John Holliday is all ears, in a manner of speaking, but he’s really all mushrooms. Aloha Medicinals, a closely held corporation with 30 shareholders and 50 employees on Carson City’s north side, is a biotechnology business supplying 700 companies in the United States and around the world. It exports to at least 60 other nations. Holliday explained his process recently as he noted growth continues apace. “It’s a straight biotech operation,” he said, adding the firm uses a sterile tissue culture technology. He compares his Arrowhead Drive plant’s work to tissue cloning, “like growing an ear.” But it’s not just one “ear” and not just garden-variety biotech; it’s “ears” galore and mushroom-variety science. Holliday spearheads an operation that uses mushrooms combined with underlying solid substrate materials, such as grain, to produce medicinal products. “We have the world’s largest culture bank in this building.” John Holliday, Aloha Medicinals Chief Scientific Officer. The firm makes hundreds of them, though 20 of the products account for 95 percent of Aloha’s business now. Aloha’s growth, Holliday said, is upward of 25 percent annually. The products, he said, are mainly anti-cancer, anti-viral or immune-enhancement for inclusion in foods, beverages, capsules and the like. “We have the world’s largest culture bank in this building,” said Holliday, who stuns his interviewer by adding that his background isn’t actually in medicine. By training, he is a mechanical engineer. So how did Aloha Medicinals come to be his mushrooming baby, so to speak, up 26 percent last year and an expected 27 percent this year? “I’ve always been interested in medicine and mushrooms,” he said. That, and he grew antsy over the lack of challenge in building bridges and the other work of engineering. 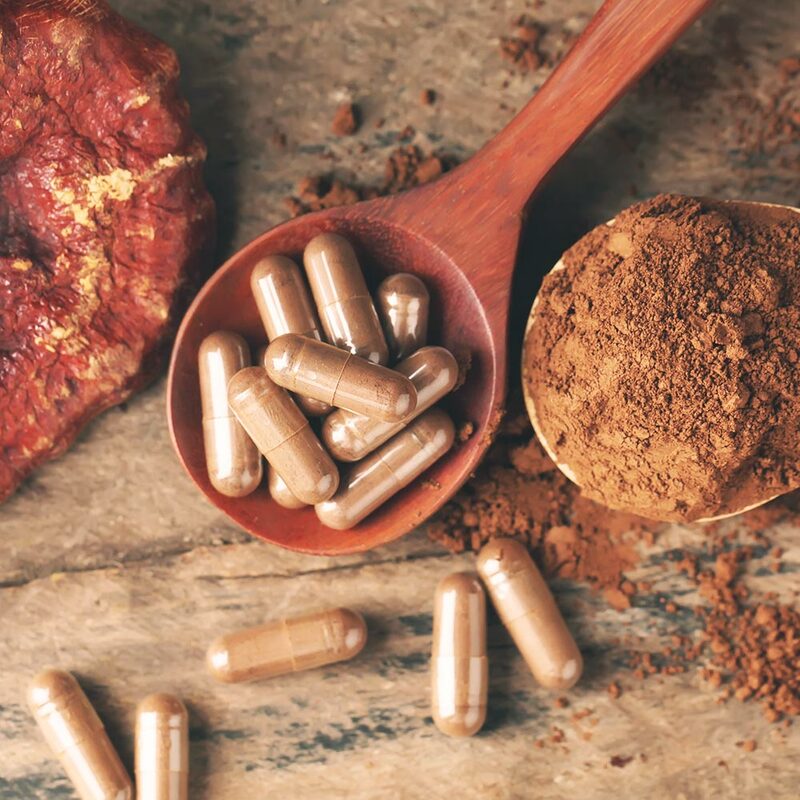 Aloha Medicinals began in Hawaii, formed in the 1990s by a group of scientists and health care experts or other fields interested in growing Reishi and Cordyceps mushrooms, along with others, that are important species for health applications. The firm moved to California in 2002, locating in Santa Cruz until mid-2007, when it relocated with 14 employees to less-expensive Carson City. It has been named Nevada Exporter of the Year twice in recent years, as well as being recognized in 2007 with a Governor’s Industry Appreciation Award and the next year for Nevada Excellence in International Business. “They’re really huge into mushrooms,” said Ronni Hannaman, executive director of the Carson City Chamber of Commerce. “It’s an interesting company,” said Kris Holt, executive director of Nevada Business Connections, a private-sector economic development group. Holt had Holliday on a manufacturing panel earlier this year. “They’re really growing fast and furiously,” Holt said. 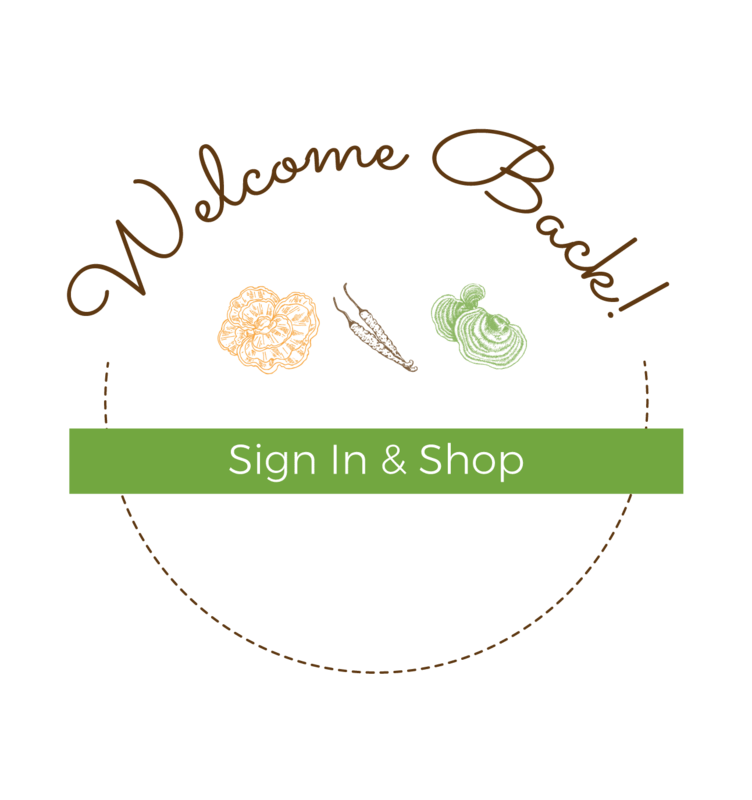 Aloha’s website says the staff now includes mycologists, microbiologists and health care professionals, and the firm has a program for post-doctorate work that brings people in from around the world. Holliday regularly speaks at medical schools regarding mushroom-undergirded medicinals and his views on health matters. He is a bit of a scold on the subject, though pleasant in demeanor, viewing synthetic pharmaceuticals as old hat. He talks generally, not speaking of his company, when he says pharma hasn’t produced much that is actually new in that arena since the 1970s. “We’re not very good synthetic chemists,” Holliday said of modern scientists. He said, for example, that statin drugs actually come from mushrooms. He also voiced criticism of antibiotics and their overuse, noting the term literally means “against life.” Yet he made it clear his role isn’t to attack others, but to look toward making nature-based products that have efficacy and enhance life. “We make raw materials for the supplemental, pharma and cosmetic industries,” he said. His role, Holliday said, stems from an ability to visualize processes that simplify making such products in a fashion that is cost-effective. He said that ability streamlines systems and processes, cutting down on expenses while speeding up nature. While there are some moving parts and nothing is free, he and his colleagues have speeded up nature by growing Cordyceps mushrooms in a different manner than nature at much lower cost. 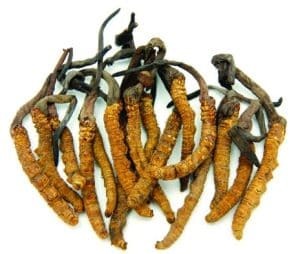 Cordyceps mushrooms from nature grow out of the head of a caterpillar only in the Himalayas, which resulted in a high price because demand was high and supply low. 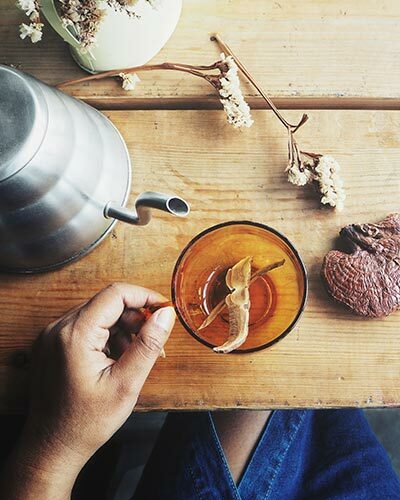 Another mushroom of great import to Aloha is Ganoderma, with which Aloha makes a health supplement that goes into Latin American coffee products. Aloha’s manufacturing plant looks almost like another world, a place in which some employees don suits making them appear as if they’re headed for outer space. They handle product under sterile air conditions and then let the fungi-infused grain grow in sealed bags. Holliday called his plant “a big clean kitchen-process” that, in a manner similar to wine-making but using solid rather than liquid substrate, makes products that “all have healthy, medicinal properties” for animals or human beings. He said they even include performance-enhancing substances for racing. “Every horse winner is on our performance-enhancing products,” he said, his intrigued interviewer all ears.